Fill these jars with your favorite sweets! The generous portion makes a great gift. 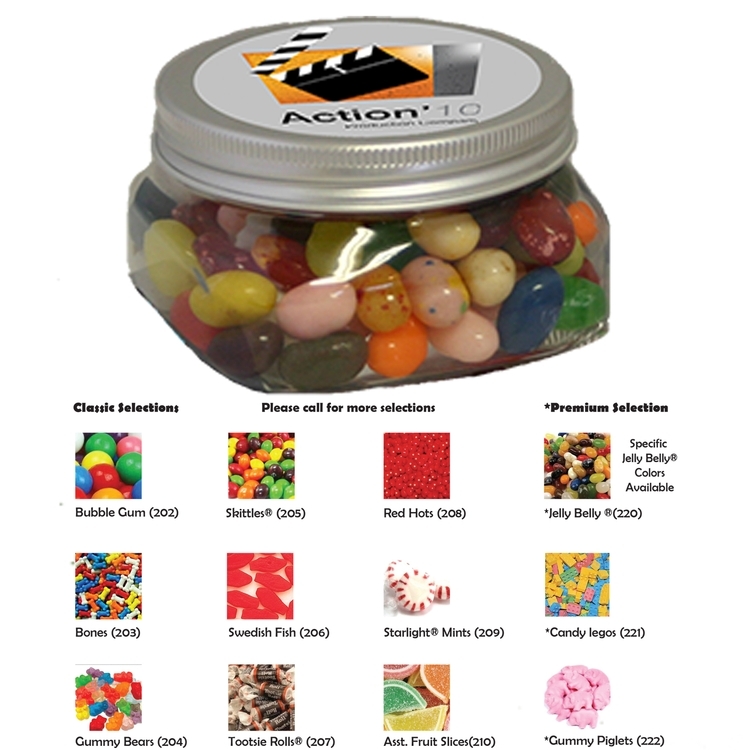 Closeout, fund raising, specials, candy, business, loyalty, pocket, hand, promotional products.